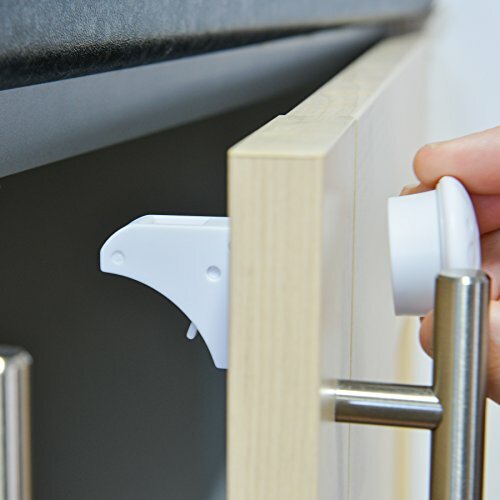 The Magnetic Cabinet Locks was easy to install. Living in an apartment I am always looking for ways to toddler proof without damaging the living space. I tested this on the cabinet in the bathroom first since this is where we keep our cleaning supplies. It works fabulously and the best part is from the outside of the cabinet you don’t know it is there. Since we are potty training and leaving the bathroom door open it was important to find a good safety option. I am installing the rest in the kitchen tomorrow. I highly recommend these especially to parents who are renting.